Do you have a dog which usually barks consistently for no apparent reason? Does the noise he produces cause discomfort to you? Have you ever thought of using a device which could deter him from barking? Well, if such an idea has never crossed your mind before, here is a solution to your dog barking problem. The best citronella bark collar is what you should purchase. It is a type of collar that produces citronella spray when it detects loud noise. Citronella collar helps in distracting and deterring a dog from barking. There are various Citronella designs which have different specifications. Some pet owners perceive this device as a way of torturing dogs. However, before using them, one should try out other options such as training the dog or consulting a professional dog trainer. Excessive dog barking could be irritating at times. It could embarrass a dog owner if he hosts visitors in his home. In order to control it, the following techniques could be useful. Meet the dog’s needs: If a dog is not provided with food and water throughout the day, he will bark as a way of attracting attention. This is due to hunger. You should give him at least two balanced meals in a day. Clean water should also be available to him whenever he needs it. He should also be able to access your inner courtyard. Give him frequent medical checkups: If a dog is ill or injured, he will bark more frequently. In case this occurs, you should take him to a veterinarian for urgent medical checkup. It is recommended for a dog to be examined at least after every three months so as to prevent the outbreak and spread of diseases such as rabies. Your dog could be under intense external parasite attack. It can cause him a lot of discomfort hence leading to unusual barking. The Seresto Flea and Tick collar is efficient in controlling and killing larvae, mature ticks and fleas. There are different Seresto collars suitable for different animals’ age and size. It also helps in repelling the parasites. However, if you are an amateur dog owner, you should keenly read the collar’s manual before using it. Train your dog: You can teach your dog the “silent” command. It could help in controlling alarm barking. Any time he barks consistently, hold a treat so as to distract him from an intruder. Once he calms down, utter the word “silent” and give him the treat. You should gradually increase the duration which he should remain quiet before giving him the treat. Eventually, he will get used to keeping quiet once you command him. It will happen even if he doesn’t see a treat. Exercise your dog: This is an effective method of controlling problem behavior. Giving your dog an intensive workout will help in reducing the intensity of frequency of his barking problem. There are various ways of exercising him which mostly depend on his age and abilities. Old dogs can be taken for long walks while as young dogs would enjoy jogging, chasing you or playing with toys. Eliminate what he dislikes: If a dog dislikes seeing something or hearing a particular sound, he tends to bark consistently. You can solve this problem by blocking his access to that item or sound which he dislikes by putting up curtains or switching on a radio during daytime. Consult a professional dog trainer: There are a variety of dog specialists who posses certain unique qualifications. You should first scrutinize these qualifications and check for her online reviews or recommendations from previous clients who she worked with. If they can’t be found online, you could enquire for a recommendation from your vet of an expert dog trainer who can solve your dog’s problem. Most of the time, dog trainers are usually certified. They could adopt certain titles such as pet therapist, pet psychologist or behavior counselor. An independent organization is responsible for certifying professional dog trainers. Prospective trainers are required to complete a rigorous training program, provide recommendation letters and pass standardized tests. A qualified behavior counselor must have a PhD or a master’s degree in animal behavior. Try using bark deterrents: Bark deterrents such as bark collars are unpleasant to most dogs and they should be the last option in controlling dog barking. There are various best citronella bark collar. -Citronella collars: They produce a citronella spray each time a dog barks. They are effective devices which don’t cause real discomfort or pain to dogs. -Ultrasonic collars: They produce ultrasonic noise which can only be heard by dogs. They may be pleasant but they don’t cause real pain. -Shock collars: They are similar to ultrasonic and citronella dog collars. However, they produce an electric shock to a dog’s neck whenever it backs. They have different settings which help in regulating the shock’s intensity. It is advisable for one to use the lowest setting so as to prevent your dog from being injured. 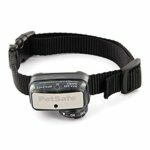 Here is a list of the most efficient best citronella bark collar. There's never a compelling motive to endure unending yapping. The petsafe spray bark collar tenderly and right away situations your pup to stop yelping using an innocuous burst of splash. The neckline makes use of an amplifier to get your canine's bark, which triggers a secure burst of shower. The bathe diverts your doggy from something he is yelping at, giving you a threat to divert your pooch's attention. This bathe neckline is ok for all pooches, which include puppies. Delicate splash quits woofing. 25-30 showers for each top off. For dogs of any length. Sound sensor identifies bark. Water-safe. Neckline utilizes 6-volt antacid battery (included.) to top off the neckline, ensure the unit is killed. Maintain the fill up splash would upright be capable of and solidly press the spout down into the fill up port. Maintain for 15 seconds or until the factor while unit is full, at that factor expel the can. In the event that bathe spills out, you can need to press tougher to complete the seal. Framework consists of: spray bark neckline with bendy neckline lash, 1 top off field of with out stain hypo-allergenic bathe, 1 6-volt antacid battery, product manual. If you don't know which bark control item to pick out. It is a bark collar which is comfortable and pleasant to dogs. It is waterproof. This makes it effective even after wet grass and light rain exposure. It effectively reduces dog barking by producing a jet of citronella spray. This deters dogs. Suitable for dogs weighing more than 6 pounds and whose necks are less than 24 inches. The elite huge dog bark manipulate collar distinguishes the canine's bark utilising certified perfect bark innovation to assure simply your pup's bark reasons the modification. As he barks, he gets a secure yet hectic static revision. The bark neckline starts offevolved with low rectifications, and if woofing proceeds with the change pressure will increment. On the factor whilst applied as it should be, the bark neckline diminishes (and plenty of the time disposes of) aggravation yelping. Your pooch will unexpectedly take inside the association and forestall the unwanted conduct. Although the little unit makes utilization of vibration and sound to guarantee least complex your canine's yelping is recognized. As he barks, he gets a safe however distressing "static" revision. The bark neckline begins offevolved with low remedies, however in the event that unreasonable yapping keeps up the redress profundity will increment. While utilized effectively the bark neckline diminishes (and in most extreme cases disposes of) the assortment of aggravation barks. Your canine will fast dissect the connection and stop the bothersome lead. The petsafe brand is all about developing better behaviour, containment and way of life alongside providing you greater incredible moments together with your pets. It is a small and lightweight collar that produces a spray mist whenever a dog barks consistently. The collar is ideal for little dogs weighing less than 55 pounds and it is effective during training. It can produce 35 sprays before being refilled and each can has the capacity to produce more than 400 sprays. It fits necks of up to 19 inches and it has a QuickFit buckle which can be easily released. The collar is waterproof and it can be immersed to about 5 feet without getting destroyed. It uses the PetSafe RFA battery which ensures constant power supply. When refilling it, one should ensure that it is turned off. Hold the can in an upright position and press the nozzle into its refill port. Hold it until it is full and then remove the spray can. In case the spray leaks, press the nozzle harder for the seal to be completed. It can be easily fit and released. The collar is waterproof and it doesn’t lose its effectiveness if it gets immersed in water. It uses a reliable RFA battery. It can be used on all small dog breeds. The spray can is capable of producing numerous sprays without being refilled. It can’t be used on heavy dogs. The collar is not suitable for large dogs with more than 20-inch necks. The PetSafe Spray Commander Remote Trainer's two levels of shower and tone just highlights, your pooch will rapidly take in the relationship between his conduct and your rectification; in a matter of seconds you'll have a superior acted pet. At the push of a catch, your remote sends a flag actuating your puppy's recipient neckline up to 250 feet away. The Spray Commander Remote Trainer has been demonstrated protected, agreeable, and powerful for pets 8 pounds and up. Highlights: For mutts 8 pounds and up, Range up to 250 feet, 2 levels of tone amendment: high and low stable, Tone-just catch, 1 canine preparing just and Waterproof neckline submersible up to 5 feet. Framework Includes: Receiver and customizable lash, Remote transmitter, Citronella splash can, 2 6-volt batteries, Wrist tie, and Product manual. In the event that this item isn't addressing your necessities. Moreover if the petsafe spray isn't executed well, therefore it is able to absolutely make the barking of the pet become worse. if your timing is off and your canine thinks the alternative dog precipitated the spray. Canine aggression is typically self protective. Your exceptional bet is to get a reputable dog trainer or to go to a training class that specialize in dog aggression. It delivers a stimulus to a dog whenever it barks. The dog eventually associates his noises with the unpleasant stimulus and he avoids barking without a justifiable reason. There are different PetSafe collar types which have different correction methods. They are; PetSafe Spray, PetSafe Sonic, PetSafe Vibration and PetSafe Static. It has an advanced technology that ensures maximum effectiveness and safety. 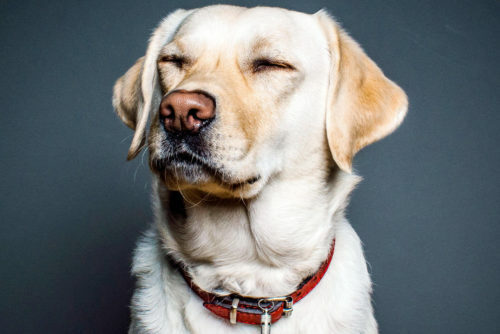 The collar turns on only when it has detected vibration and sound from a dog’s barks. It uses several correction methods hence allowing dog owners to choose the most appropriate depending with a dog’s personality. -It is highly effective as it stops a dog from barking within a short duration as compared to other devices. It doesn’t cause discomfort to dogs. It is slightly expensive as compared to other bark collars. The brand new 2014 dogtek no bark spray is a standout amongst the first-class collars to be had utilising a verified method to prepare your doggy now not to too much bark. At the factor while your domestic dog barks, the dogtek no bark spray conveys a brief splash of harmless citronella fog toward the canine's decrease jaw. Absolutely safe and handy, the citronella in opposition to bark neckline is logically became out to be the great available. The neckline is programmed and does no longer require human inclusion. It doesn't make use of static adjustments or beeps, so it may not make any extra nervousness for the domestic dog. Inner a brief time of preparing time, the pooch starts to relate the citronella splash redress with their awful yelping propensities moreover diminishing your dog's need to an excessive amount of bark. Object functions : dogs 6 lbs. Furthermore, up can make use of the no bark spray collar; the splash is innocuous and a hit bull; tool is lightweight (2 ounces.) and first rate for maximum breeds bull; makes use of 6-volt antacid battery (covered).What's blanketed inside the package deal: 1 dogtek no bark spray system bull; 1 fill up canister of citronella shower; 1 customizable nylon tie neckline bull; 1 6v 4lr44 battery 1 patron's manual. If you are not able to purchase a commercial Citronella spray, you can make one using this simple recipe. Add 30 citronella oil drops to a spray bottle containing 242mg of witch hazel and 242mg of distilled water. Shake the bottle thoroughly before using the solution. When your dog starts barking, emit a short jet of Citronella spray towards him. However, you should not spray him if he is barking due to anxiety, stress or fear. Is safe for use on a dog. It can be misused by a pet owner and hence injuring a dog. How can it characteristic? This downtown pet supply no bark manipulate neckline detects your pup's bark. On the factor while your pup barks, a burst of citronella (lemon) bathe is discharged. The no bark control neckline segregates each bark from different outer commotions. A burst of citronella shower is discharged to dissuade yelping simply if both the vibration from vocal harmonies and the sound from the bark coordinate similar criteria. The citronella shower is non-adversarial to individuals and by means of and big sufficiently compelling to occupy your pooch from something he is yelping at. This is not a stun neckline, stun collars utilize an excruciating stun to enterprise to stop the woofing. Making use of a stun neckline is less a success and the torment incited to the dog probably builds uneasiness, hostility and frequently declines a few behavior propensities. We don't prescribe stun collars. The downtown pet deliver citronella no bark neckline is twice as effective as the stun neckline and to a exquisite diploma sheltered, compelling and sympathetic! Sparkling out of the plastic new, manufacturing unit sealed, includes a 60 day producer warranty and also one thing to take note of is that, the citronella spray, just splashes. It works to chop down yelping yet it likewise showers when you don't need it to, for example, while puppy shakes his head or an astonishing movement. A Downtown citronella collar’s appearance and functions are almost similar to those of other traditional collars. It holds a canister which is filled with a harmless spray of diluted citronella oil. There is an electronic mechanism that detects a dog’s barks. When they persist for a long time, the mechanism triggers the collar to produce a short jet of the spray solution. This deters a dog from barking again. Safe and efficient when used. Has adjustable collars which fit dogs weighing more than 6 pounds. Clients are given a 60-days warranty. It can’t be used on small dogs. Citronella oil is also effective in treating flea infestation in dogs. The following steps can be followed. -Put distilled water in a spray bottle and add 15 citronella oil drops. Thoroughly shake the bottle in order to mix them. -Spray your dog with the citronella solution and use your fingers to rub the coat for easy penetration of the spray. Directly spray the solution onto your hands and wipe it around the dog’s face. You should avoid its ears and eyes. -Directly apply the citronella solution onto your hands and wipe the dog’s coat lightly. You can use cotton balls to repel fleas. -Soak the cotton balls into your citronella solution and place them in various parts of your house that you can’t reach with a vacuum. The cotton balls also help in repelling fleas in areas behind bulky furniture which are carpeted. -Spray your carpet and vacuum it as low as possible so as to extract fleas that are hidden in the carpet pile. When you spot two dogs fighting with one another, you should not try getting in between them. If you attempt to hold any of their heads, they will bite you. One should also not try grabbing their best citronella bark collar. You should try to be calm and avoid yelling at them. It is advisable to call another person preferable an owner of one of the dogs before attempting to separate them. The following methods are recommended when stopping dog fights . If there is a nearby garden horse, grab it and use it to spray water in the nose and eyes of the ferocious dog. You can also spray diluted citronella oil in the dog’s faces. It is usually effective when breaking up less intense fights. Spraying a pepper solution at the dogs could damage their eyes, mucous and skin membranes. It should hence be avoided as it could also agitate the dogs further. In case of less intense dog fights, you can sound an air horn or you slam a door loudly. This will snap the dogs out of the fight. If you attempt shouting or screaming at them, it will intensify the fight. You should produce loud and high pitched sound so as to break intense fights. You can throw a high blanket at the dogs. It will deter them and hence break up the fight. Placing baskets or chairs on top of fighting dogs could help in separating them during less intense fights. In intense fights, you can open a long and automatic umbrella between the dogs so as to separate them. However, you should ensure that it is long enough such that your hands are not close to the dogs’ mouths as they could bite you. This should be done correctly by more than one person preferably the dogs’ owners. Each person should slowly approach a dog from behind, firmly grab its back legs and walk backwards. It should be done to all dogs at the same time. In case one dog is below the other one, the one on top should be pulled back and then the one at the bottom should be pulled back immediately after standing up. You should then circle quickly on one side as you stay away from the dogs. This will force the dog to remain upright as he follows your pattern using his front legs. One should avoid stopping as the dog could easily flip around and attack you. While still in the circular motion, isolate the dog in an enclosure where he can’t see the others. If there is no nearby enclosure, you should continue circling until the dog calms down and you are able to safely attach him to a leash. When controlling dog barking, it is advisable for one to select the best citronella bark collar based on the dogs’ neck size, temperament and weight. There is a variety of citronella collars which one can choose from. You can also consult a veterinarian if you are not sure of the best method to use when controlling dog barks and ending dog fights.